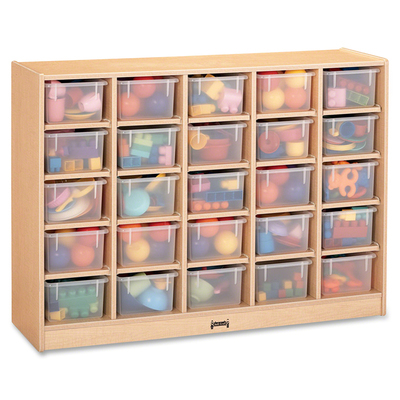 25-Tray Cubby Storage Unit With Clear Trays Lets You Maximize Your Classroom Storage Needs. Rounded Edges Allow Children To Play Safely Without Getting Hurt By Sharp Edges Or Corners. Durable Laminate Features An Easy-To-Clean Surface. Thermo-Fused Edgebanding Helps Seal Out Moisture..
25-Tray Cubby Storage Unit With Clear Trays Lets You Maximize Your Classroom Storage Needs. Rounded Edges Allow Children To Play Safely Without Getting Hurt By Sharp Edges Or Corners. Durable Laminate Features An Easy-To-Clean Surface. Thermo-Fused Edgebanding Helps Seal Out Moisture.